When we head out to new cities, the kids and I love to discover unique and different places to stay. One of our favourites is checking out boutique hotels. Unlike larger chains, boutique hotels tend to offer a much different vibe and hotel atmosphere. El Cordova Hotel in Coronado near San Diego was no different. 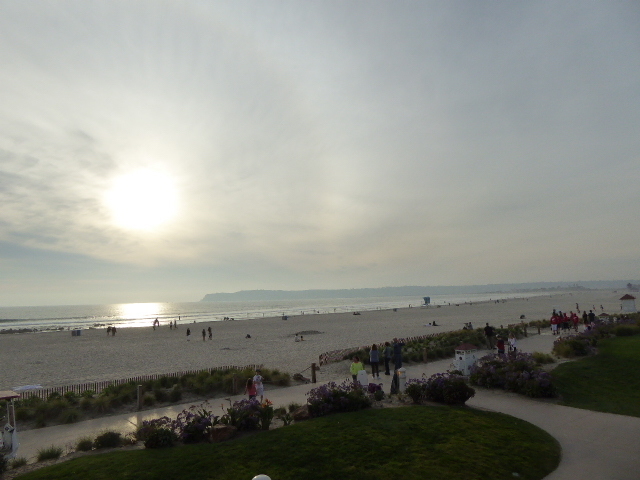 Known particularly for the famous hotel, the Del Coronado, Coronado is an awesome area to visit with kids. From large accessible beaches, to family friendly but still trendy restaurants, the main strip will keep you and your kids busy all day. Go further into the centre of Coronado and you will find great playgrounds and ever more to see and do. To begin, the El Cordova Hotel in Coronado is located directly across from the Del Coronado. The hotel was in fact built as a mansion meant to rival the hotel back in the early 1900s. In 1930 the property was converted into a Spanish Hotel. The history of the hotel is visible in every tile laid. Even though the hotel has been updated, the Spanish flare and original design remains. 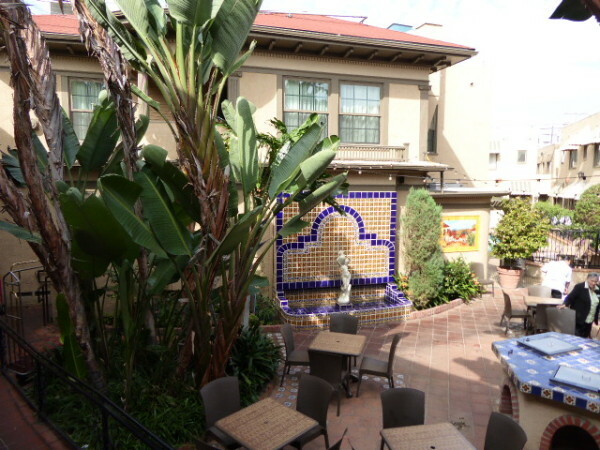 We particularly loved how the courtyard of the hotel made us forget we were even close to San Diego and instead made it seem like we were in a tiny Spanish city or somewhere in Mexico. 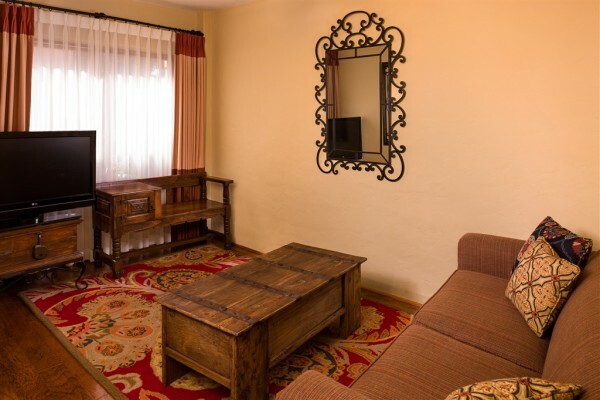 Why Choose the El Cordova Hotel in Coronado? Anyone who has visited Coronado will tell you that its expensive. Particularly to stay at the Del Coronado. The cool thing about the El Cordova Hotel in Coronado is that you are located so close to the Del Coronado that you can walk over for dinner or just to explore the property whenever you fancy. You can then return home to a cozier and much more wallet friendly hotel. On site the El Cordova has two amazing restaurants. Miguel’s Cocina is an authentic Mexican restaurant and their signature jalapeño cheese dip is addictive. The restaurant has a kids menu with Mexican options as well as the typical kids food choices. We ordered in to our room and ended up actually enjoying our meal under the stars in the Spanish courtyard. For breakfast, the hotel also houses the incredible french creperie Fabrison’s which my kids loved. What will really catch your eye about the El Cordova Hotel is the art that is hung in the lobby as well as the design of the hotel. I watched an elderly gentleman work in the courtyard and could tell this hotel was a labour of love for him. In discussing the property, I learned that he actually was in charge of sourcing all the tiles for the renovation to keep the hotel up to date while also keeping its charm. 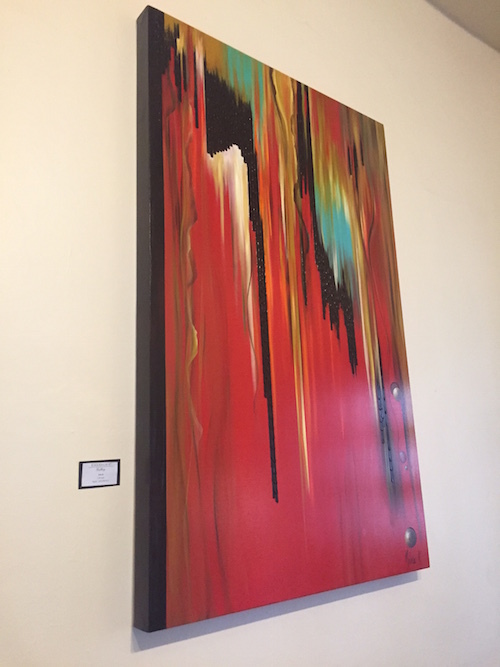 The art in the lobby is supplied by a local art gallery and the pieces currently on display are a stunning and beautiful contrast to the age of the hotel. The El Cordova Hotel is in the centre of the main Coronado strip and can be a little noisy. 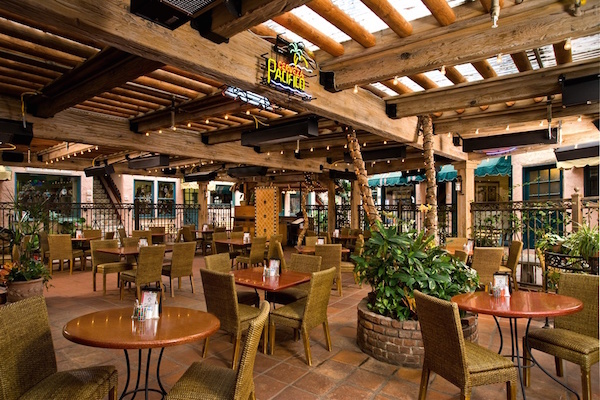 If you are traveling with kids, I suggest requesting a room in the courtyard as you are further from the lively patio at Miguel’s. Also, the El Cordova Hotel like many other properties on Coronado does not have a dedicated parking lot. At first I found this difficult, but was quickly told that there is ample free parking surrounding the hotel. Both nights, I was able to park in a spot attached to the hotel for 25 cents. I have not covered Mexico on my blog and in fact I have never visited with my children. 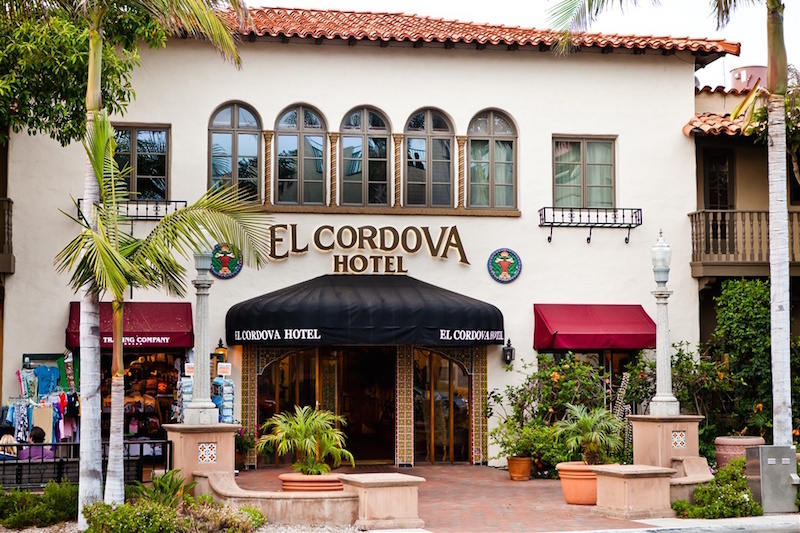 Although we hope to visit soon, the El Cordova Hotel in Coronado really gave them a taste of life in Mexico. We loved the set up of the hotel and when crossing the bridge to Coronado I was in fact able to point out Mexico to them. The traveler in me wanted to cross the border just to get the passport stamp but instead we settled in at the hotel for a taste of what lay South of the Border. We explored Coronado on our scooters and by foot and every step we fell more in love. The El Cordova is located in the centre of a very safe community and is attached to some marvellous shops and restaurants. I felt completely at ease in the community and only wished we had a little more time to stay. A nice part of the hotel is that the rooms are all set up for a longer term stay. Each room is equipped with a kitchenette which includes a fridge, microwave and stove. I particularly loved that the kids had a separate room with television to sit in while I worked. 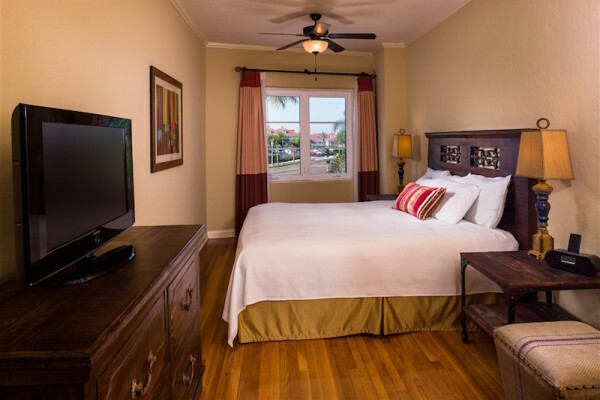 The 2 bedroom suites at the El Cordova Hotel have a king size bed as well a separate room with two beds for the kids or visiting family members. The suite would easily have housed 6 people and has enough space to be comparable to a condo rental in the area. I didn’t know what to expect with the El Cordova Hotel and I was pleasantly surprised. We found the staff quite accommodating and loved hearing all about the history of the hotel. Rumour has it the electrics in the hotel were even set up by Thomas Edison who also installed the electrics at the Del Coronado. Sadly no one can confirm that fact but your kids and you will get a kick out of the history of the land and the island. Have you checked out unique boutique properties with your kids? I suggest you add the El Cordova Hotel in Coronado to your list. 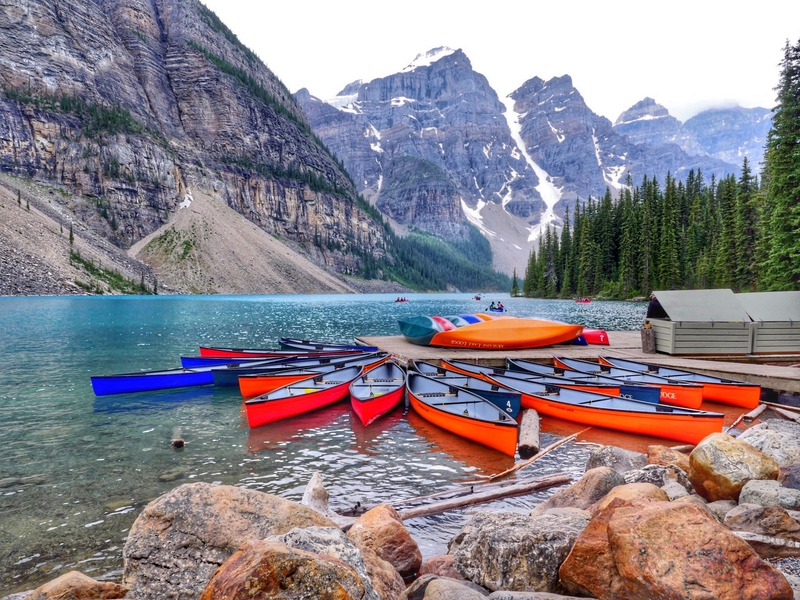 Hi we are scheduled to go there this week. I didn’t realize that the property has no parking. This sounds like a beautiful historic place.